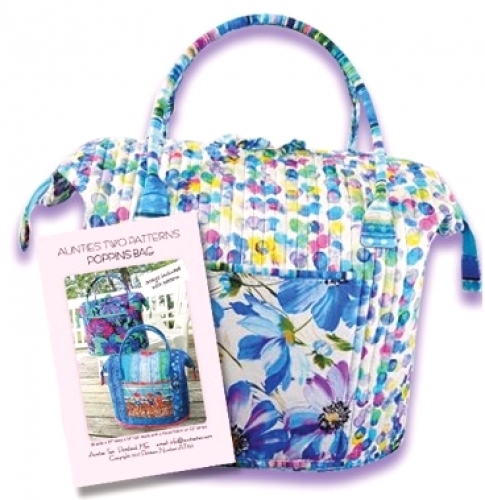 Large zipper top bag for all of your magic stuff! There are 2 pockets on the outside and 2 pockets on the inside to keep everything organized. Structural stays (included) keep it in shape. 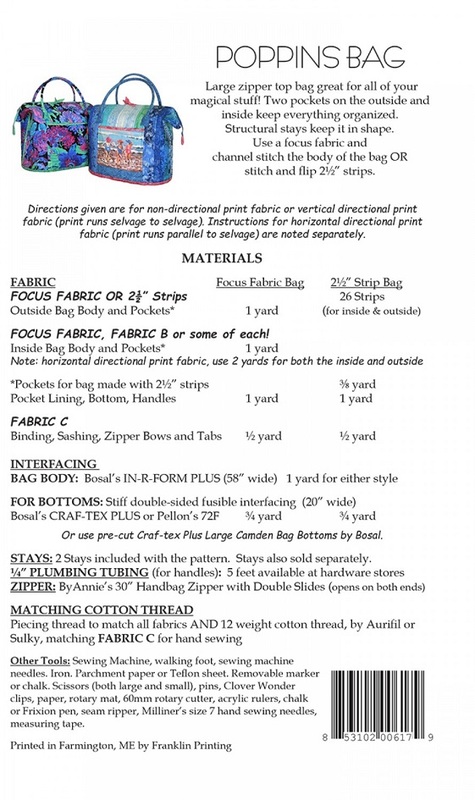 Can be made with yardage or 2.5" strips. Finished size: 18" wide x 12" deep x 14" tall.